The Archdiocesan Youth Choir’s performance, included in the Archdiocesan Byzantine Choir’s concert titled, ASMA KAINON (A New Song): Chant of the Greek Orthodox Church, at Weill Recital Hall, at Carnegie Hall, on December 14, was not only an appropriate prelude to Christmas and a satisfying reiteration of classic Greek regional Christmas Carols, but resounding evidence of the interest and involvement of the Greek Orthodox community’s youth in the musical aspect of their heritage It takes effort to learn music and text and to rehearse, and in spite of their demanding school schedules, these young Greek Americans have taken the time to do it. 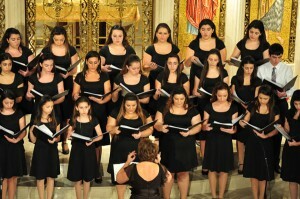 Apart from its initial purpose as a vehicle for the transmission and exploration of Hellenic music, the Archdiocesan Youth Choir, the premier Greek American youth vocal ensemble, is succeeding in its equally important mission to help young people of Hellenic heritage and of the Orthodox faith to appreciate their roots and to achieve their potential as musicians and as individuals with high standards of excellence. 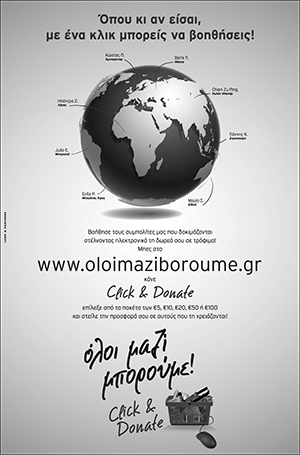 The choir has the spiritual guidance and tireless support of His Eminence Archbishop Demetrios of America, and the leadership of Mr. Panicos Papanicolaou, who heads the Cyprus Federation. 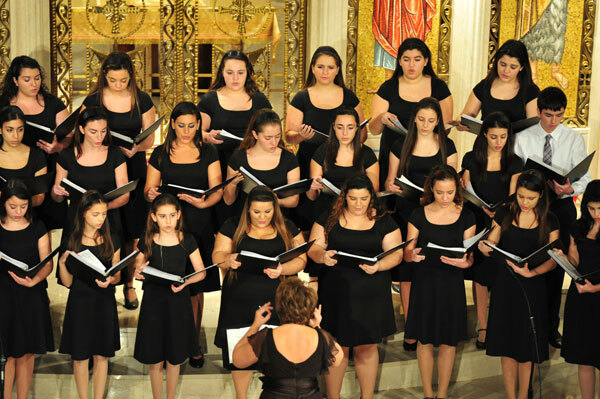 Most of the choir members–who range from 7 to 21 years of age and are first, second, and third generation Greek Americans–are students from the Greek American Parochial Schools, the Afternoon Greek schools, and Sunday schools of the New York metropolitan area. The Archdiocesan Youth Choir explores and showcases the diversity and depth of the Hellenic and the Western musical tradition through its repertoire, in eight languages, of ecclesiastical, classical, popular, and traditional folk music from the Middle Ages, the Renaissance, and contemporary times. The choir’s concert at Weill Recital Hall of Carnegie Hall was just the latest in a string of appearances at prestigious venues. To name a few, the choir’s 2003 debut performance was with George Dalaras at the Metropolitan Opera at Lincoln Center, celebrating the 2004 Olympic Games in Greece, and at the United Nations, during the Torch Relay Ceremony prior to the Olympic Games in 2004. They have performed at the White house, in Washington, DC, twice, in 2008 and 2009. A major undertaking was their spectacular international summer tour during which they sang in the Church of Aghia Irini in Constantinople in honor of His All-Holiness Ecumenical Patriarch Bartholomew, in the Presidential Palace of Dimitris Christofias, President of Cyprus, and in the Amphitheater of the Ionian Village National Camp of the Greek Orthodox Archdiocese of America in Vartholomio, Greece in the presence of Pavlos Geroulanos, Greece’s Minister of Culture and Tourism. 21 year-old college student, Evangelia Haskopoulos, who is honored not only to have performed in all the choir’s prestigious concerts over the past ten years (together with her 18 year-old sister, Vasiliki, and brother Constantine, quoted above), but also to have had the opportunity to develop many wonderful friendships with peers who “share the same love for music”, entered the choir when she was a “shy, quiet, eleven year-old with a passion for music”. In a testimonial to Ms. Maria Koleva’s help and dedication, Ms. Haskopoulos stresses that Ms. Koleva, her “passion for music and musical training have intensified and strengthened”. For Ms. Haskopoulos, the choir also serves to “keep the Greek community close and our heritage strong, which is very important to me as a second generation Greek-American. As time passes, I realize how fortunate and privileged I am to have been a part of the choir for so long…. I will hold and cherish my memories of our experiences close to my heart throughout my life”, says Ms. Haskopoulos. Her mother, Denise (Dionisia) Haskopoulos, manager of the choir since its inception, is an excellent role model for her children’s dedication to a project: managing the choir is no small job. Handling all of the choir’s correspondence and programs, organizing trips, parties, and raffles, Mrs. Haskopoulos does “pretty much everything”, and it is her labor of love. I just wanted to make a correction. I have not been managing the choir since it’s inception. I’ve been the secretary of the choir for the last 3 years. Please correct this very big mistake. I would greatly appreciate it. I must correct a huge mistake within your article. I have not been managing since its inception by any means. I have simply been the secretary for the last 3-4 years even though that can be a lot of work as well. Please correct the statement.